Home / Araneta Center Cubao / food / Gourmet Bar and Ice Cream Challenge / Gourmet Bar by Novotel / Ice Cream / Ice Cream Challenge by Gourmet Bar / Novotel Araneta Center Manila / Novotel Manila / travel eat pinas / TrEaPh / Gourmet Bar by Novotel Manila's Local and Foreign Dishes and Ice Cream Challenge! 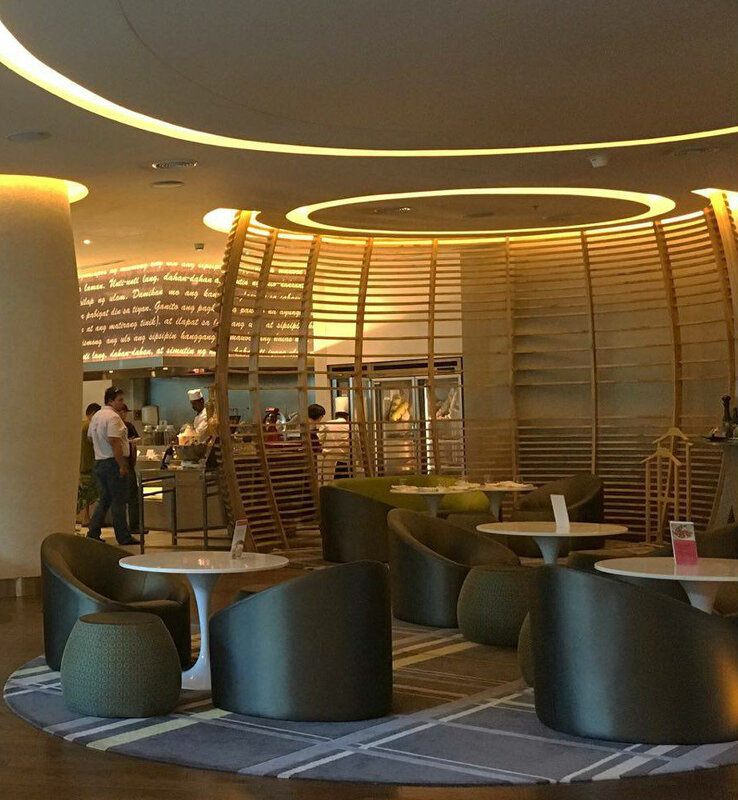 Gourmet Bar by Novotel Manila's Local and Foreign Dishes and Ice Cream Challenge! 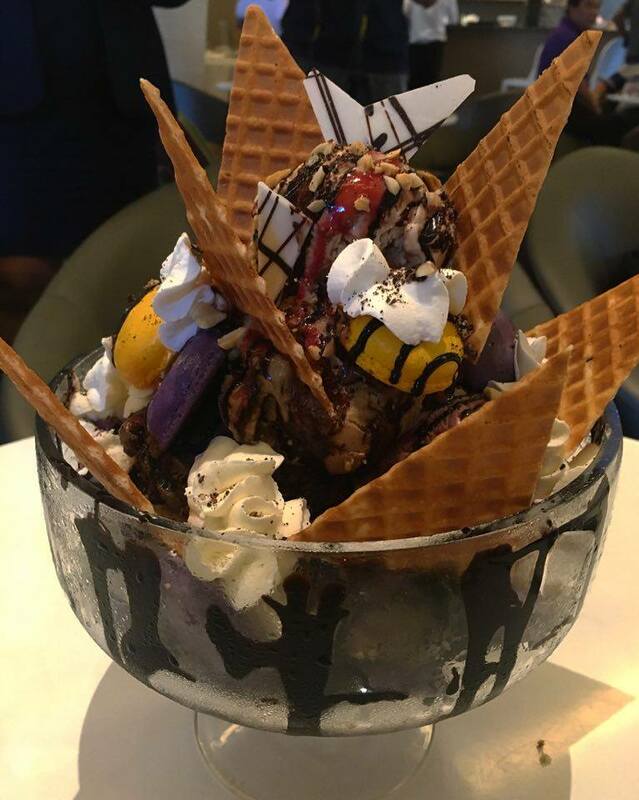 Last October 22, I was one of the lucky five bloggers who got invited by Jaey of HeyJaey and Novotel Hotel and Resorts Manila to try Gourmet Bar's ICE CREAM challenge. I always pass by Novotel Manila at General Aguinaldo Avenue, Araneta Center, Cubao in Quezon City but I haven't got the chance to step inside the latter, that's why I am so excited that day. Upon entering the hotel, their friendly and accommodating staff welcomed me and lead me to the venue of the Ice Cream Challenge- Gourmet Bar by Novotel. 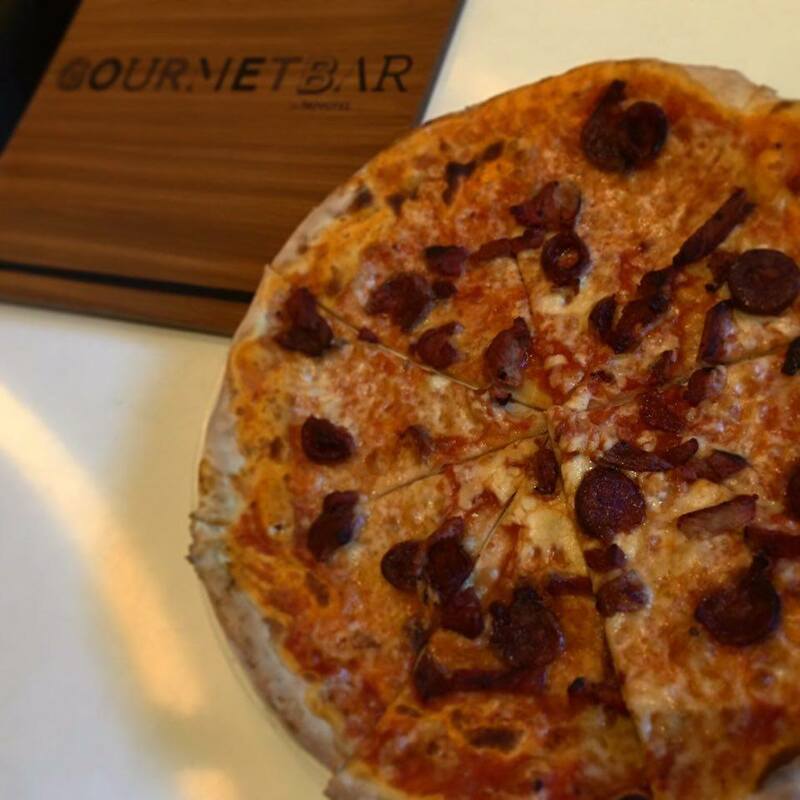 Gourmet Bar is one of Novotel's restaurants that offers a la carte menu with the mix of local and global flavors made by foreign chefs. It has a calming ambiance with comfortable chairs and easy on the eyes color pattern and design that completes a totally relaxing environment. Gourmet Bar can accommodate up to 80 people. Before we start the challenge, the Digital Marketing Manager of Novotel Manila, Miss Mariangela Silvestre and the team of Gourmet Bar gave us a welcome banquet. The banquet includes Foie Gras Praline, Black Linguini with Talangka Paste, 3 Beef Caldereta Sliders, Pizza Pampanga, Pizza Lungga Parma Ham Con Rucola E Grana, Non-Alcoholic Unleaded Cucumber and Pomelo and Ginger Cooler. 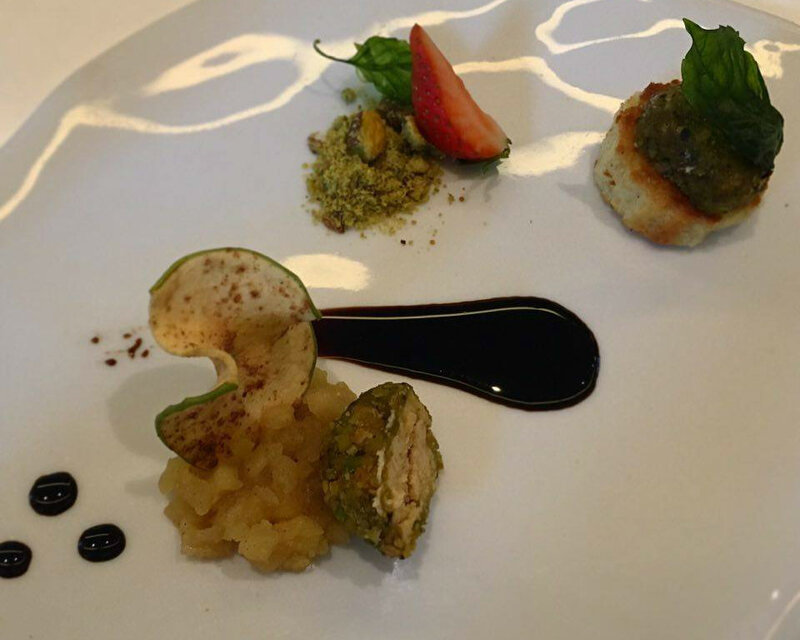 Foie Gras Praline is pistachio crusted truffle with foie gras praline and apple bits that taste like apple pie filling and crushed pistachio and strawberry. 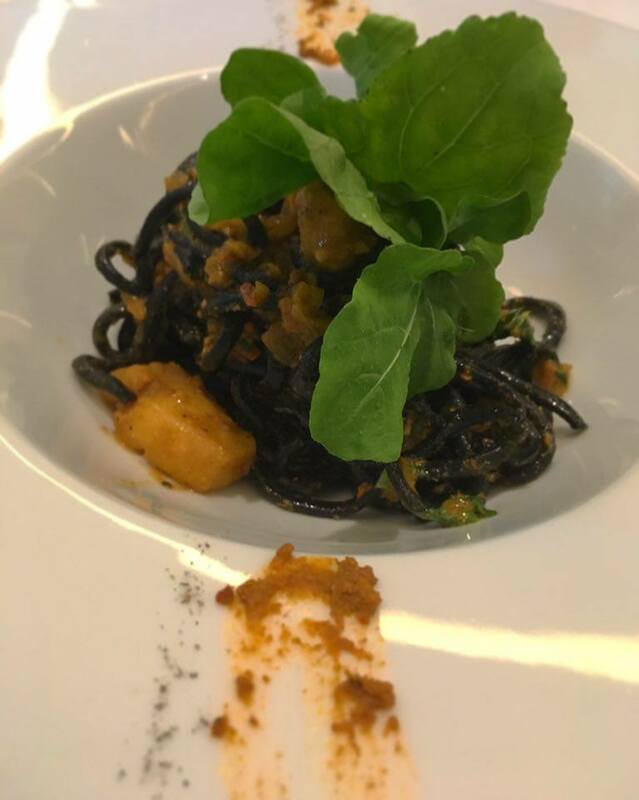 Black Linguini with Talangka Paste is made of Novotel's homemade and tender black pasta with the rich taste of talangka paste, locally farmed and fresh rocket, and crispy Maya Maya cubes. 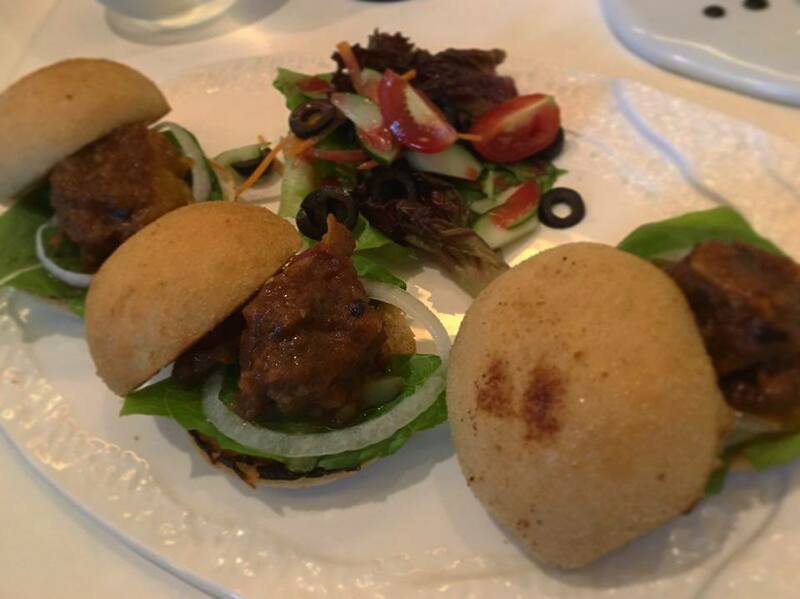 3 Beef Caldereta Sliders has tender beef, red onion, gherkins, and fresh from the farm lettuce, on a pandesal. Pizza Pampanga has a thin and crunchy crust with Novotel's special pizza sauce and topped with one of Filipino's favorites meat because of its sweet and garlic taste- Longanisa. 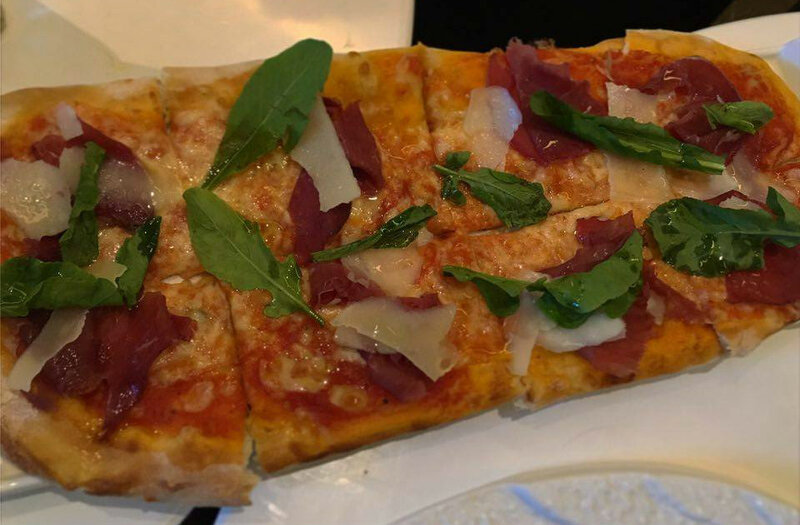 Pizza Lungga Parma Ham Con Rucola E Grana has a thin and crunchy crust with Novotel's special pizza sauce and topped with mozzarella cheese, rocket leaves, parma ham and permesan flakes. 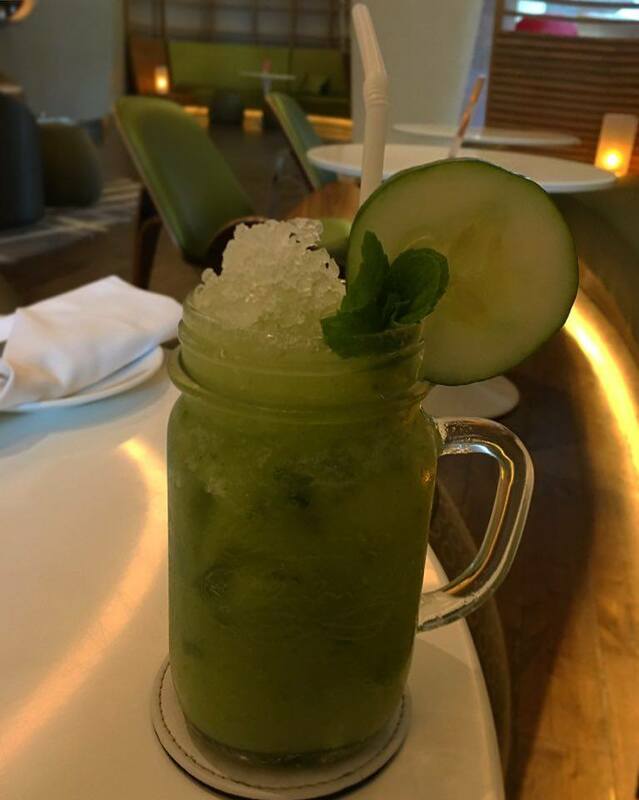 Non-Alcoholic Unleaded Cucumber was made for children that usually dine with their parents at Gourmet Bar but ended up as one of the adults favorite thirst quencher. It is made of Lime, Cucumber, House-made Saour, and Soda. 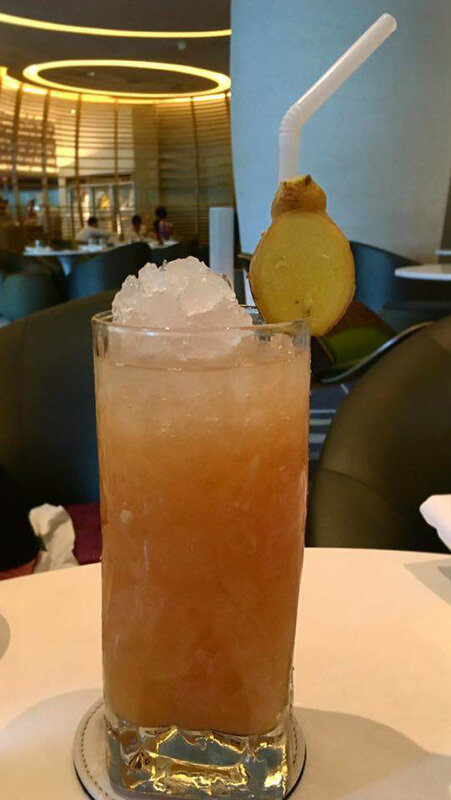 Pomelo and Ginger Cooler is a mixture of Filipino alcoholic beverage, Lambanog, Pomelo Juice, Ginger Syrup and Lemonade. After the banquet, the challenge started by presenting us Le Mont Gourmand. The ice cream challenge is simple, the five of us should work as a team to finish Le Mont Gourmand. Sound easy, right? but I am telling you it is challenging! Le Mont Gourmand is composed of 15 big scoops of artisan ice cream and sherbets with banana, coffee, chocolate and raspberry flavors topped with macaroons, mixed berries coulis, and nuts, drizzled with chocolate syrup and garnished with whipped cream. We were told that other teams tried to finish the challenge but failed. So we strategies and finished the ice cream challenge in 11 minutes. So far, we are the fastest among those who dared to try the challenge. Gourmet Bar by Novotel did give me the warmest welcome during my first visit in Novotel Manila. My palate loved their delectable Filipino and foreign mixed dishes and I adore their relaxing ambiance. I also enjoyed the challenge. Their artisan ice cream is not that sweet but full of flavors and is creamy. I would definitely go back and try a scoop or two of their ice cream soon. I'd try that ice cream challenge. I'd probably fail, but I'd sure try. An ice cream challenge sounds so fun. I would most likely fail but would have fun trying. I would love to try an ice cream challenge! The food looks amazing! I want to try all of those!! Everything look delicious and that ice cream challenge is definitely for me. Amazing! The Le Mont Gourmand looks so delicious, but really huge! I'm glad you were able to finish it after the welcome banquet. oh wow this looks and sounds amazing. I so wish I lived closer. I am definitely down for an ice cream challenge. All of that looks great! I am always looking for some good food. I really think that you found it here! Wow! I have never seen so much good food on one page before. This all looks amazing. That ice cream looks to die for! I really need that in my life. That food looks so interesting, I'm curious on the taste. Ice cream looks delicious! Their manager rocks! Thanks to their great team, I'm so happy I chose this venue for my event! I had a great time at event space here and think the atmosphere is as good as it gets. I will be astonished if I ever find a negative review on these guys.